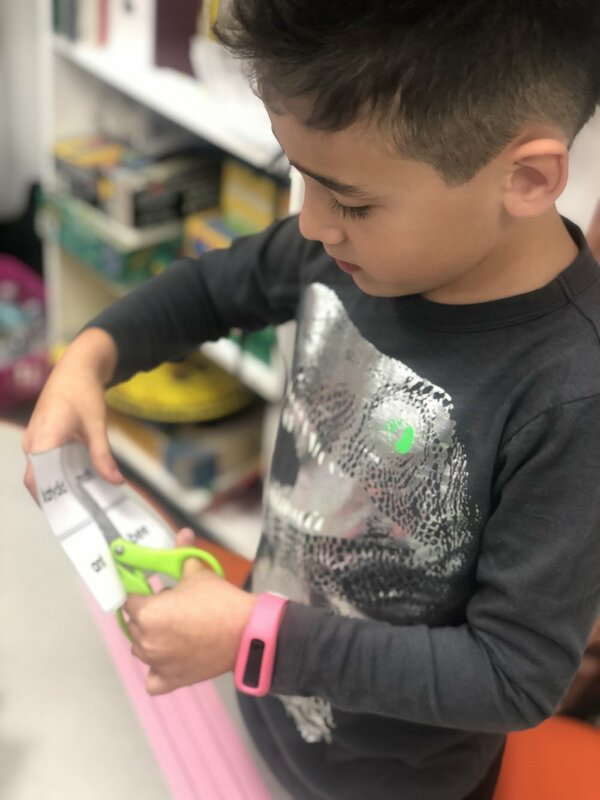 Take a peek inside to see what vibrant lessons were happening inside of TCS classrooms this week! 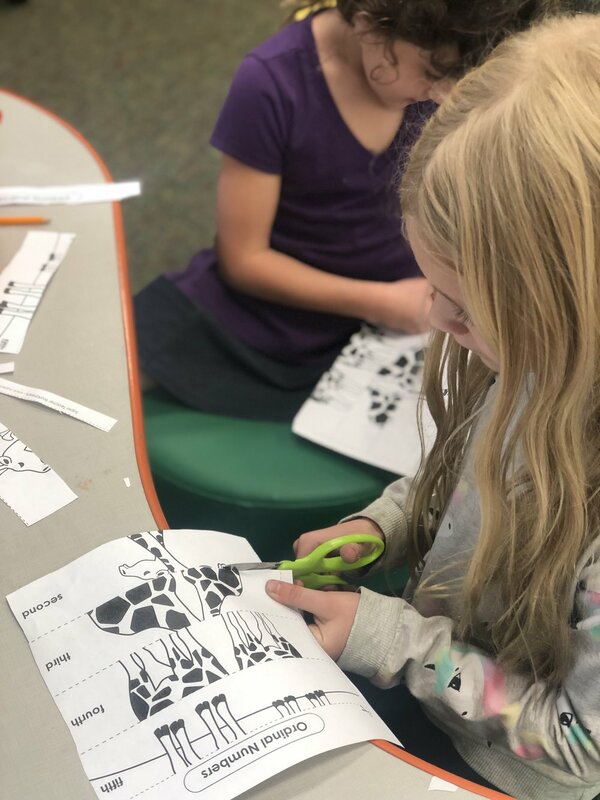 1st Grade used insects to practice alphabetizing by cutting out the different insect names and pasting them in correct alphabetical order onto a head crown. 2nd Grade finished work on their Christmas cards and framed sunflower paintings inspired by their lesson on famed artist Vincent Van Gogh. 5th Grade worked in pairs to complete an adjective challenge during an English lesson. Students also wrapped up their service learning project with Operation Gratitude by paying Brigitte a visit to learn how to use the electronic stamp machine so that they could mail all of their holiday letters to veterans. 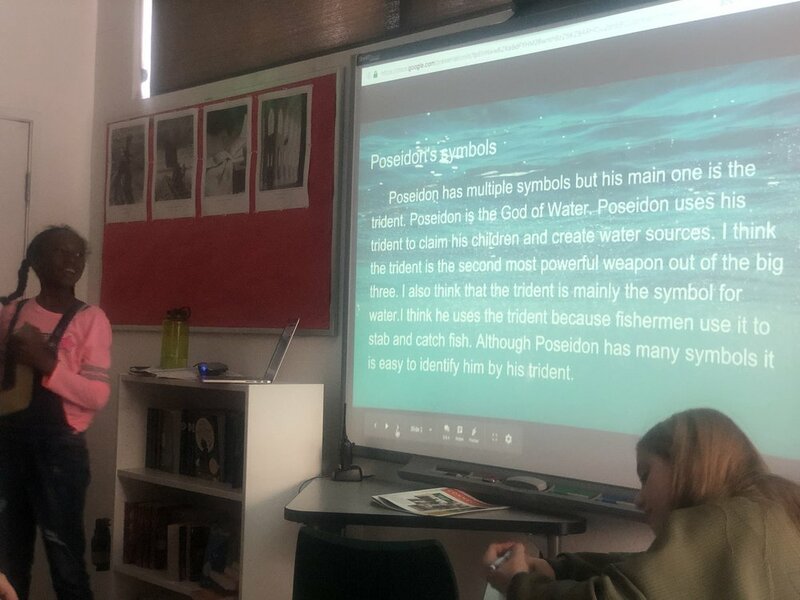 6th Grade wrapped up their lesson on Greek mythology by giving oral presentations on the different Gods and Goddesses they encountered while reading Percy Jackson & The Olympians. 7th Grade did more work on their zentangle tiles in Science class.